Hi, I'm Steve. 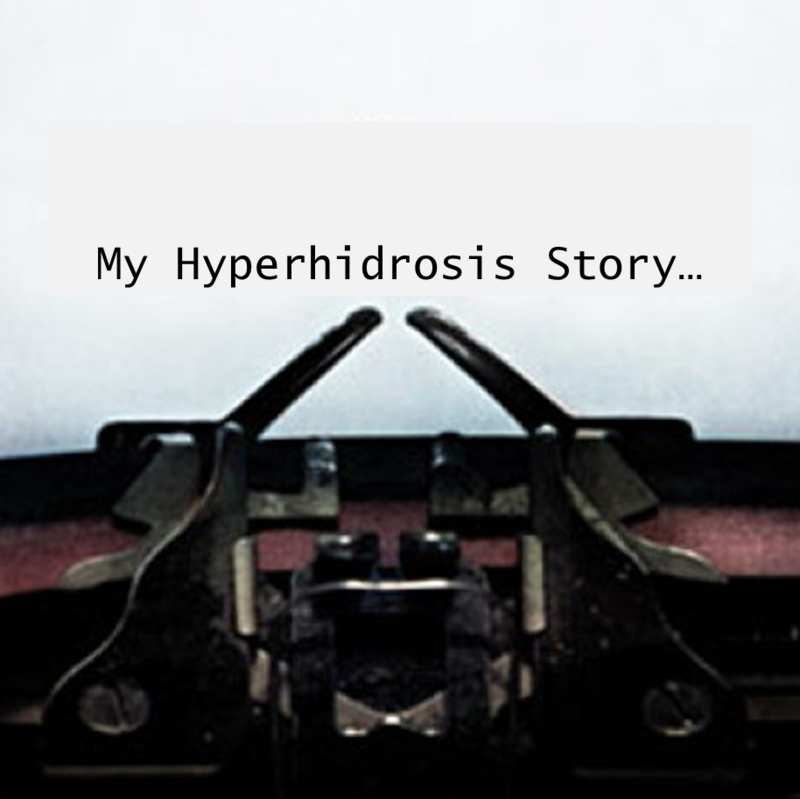 I have been living with hyperhidrosis for many years, without even knowing that I have it. It wasn't a medical thing before, or at least none of my doctors showed a lot of concern about it. 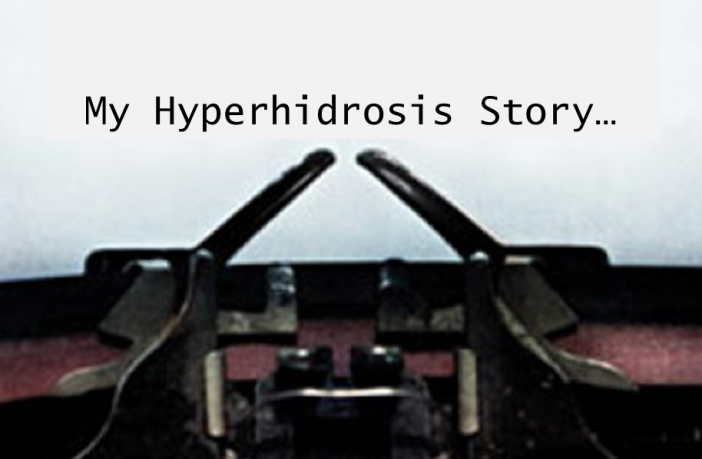 I learned how to live with hyperhidrosis, because I had no other choice. What was I supposed to do, really? My father is a real, old-fashioned guy, and he didn't tolerate his son sitting in some corner and feeling sorry for himself, you know? As the result, I learned to tolerate my sweating, and just use a lot of different antiperspirants. I only consider myself to have axillary hyperhidrosis, because my armpit sweating is by far the worst. While my feet might sweat more than an average Joe's, they are still not bad enough to feel that I have a real problem there. In case this helps anyone, I can recommend Dove Men + Care Clinical Protection – to me, this antiperspirant worked the best and still stays my favorite. The day came when I decided it's time to look into other ways to treat hyperhidrosis, and my decision was to do iontophoresis. I would like to share my story: a sort of an iontophoresis odyssey, in which I ventured from one machine to the other, until I finally found the one that made me happy. The first machine I tried was Fischer Galvanic MD-2, because there was a private clinic nearby, and there they hold treatments. (They are very expensive, though!) I scheduled 3 appointments, just to see how it goes. I had to shave my armpits. The first time it hurt since I was freshly shaved, but after that it was easier. I did not notice dramatic improvement, and still used antiperspirant. However, it seemed to me that antiperspirant held longer now that I had iontophoresis. I only had to re-apply it every 2 days! After that, I decided to buy an iontophoresis machine to save money. 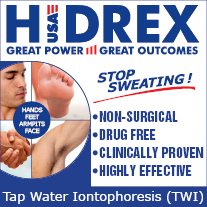 I ordered a Drionic Underarm machine – it seemed specialized for my problem of axillary hyperhidrosis, and the price was fair. Unfortunately, after using it for several times, I came to the conclusion that it's not as good as Fischer Galvanic. Maybe it was because the battery-powered machine is just too weak for me, or some other reason. I never figured this out. Soon after, I sold it through an ad in local newspapers. After that, I kept thinking I should go back to Fischer Galvanic, but some itch dared me to try something new. I boldly ordered Hidrex PSP 1000 from Germany, along with armpit applicators. This Hidrex worked really well, and I decided to keep it. My settings are: 12 V current at 60-70% pulse width. This stops my sweating, while being painless most of the time. I shave armpits regularly, but never right before a treatment. I occasionally do have skin lesions, so I also use a body lotion to soothe my skin after the treatments. At the end, I would like to say that these days I have no real need for Dove antiperspirant, and can also use cheaper ones, mostly for scent. 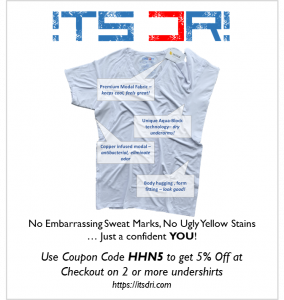 Living with hyperhidrosis is much easier now that I don't have to worry about the smelly sweat, 24/7 antiperspirants and wet shirt stains. This was my iontophoresis experience. Thank you for reading.